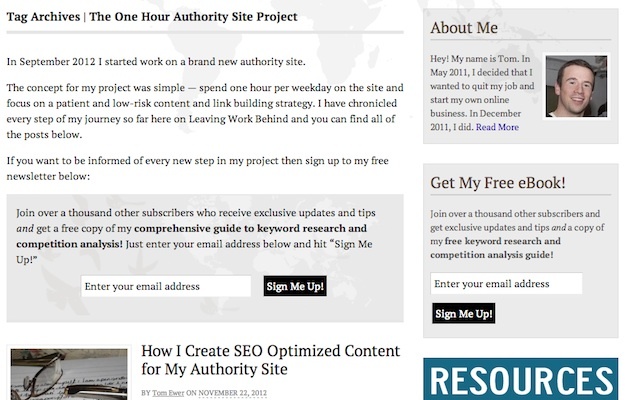 Last week I published Is Blogging the Best Content Publishing Format for WordPress Users? It represented a pivotal moment for me as a blogger — the realization that the standard blogging format is simply not good enough for my purposes. And those purposes are simple — to enable visitors to my blogs to access my best content with ease. One of the ways in which you can do this is to provide well-indexed taxonomies full of highly relevant content. But I argue that you should take a step further and develop your most important archive pages into fully-fledged “content buckets” in which the particular topic is properly introduced. For me the key is in striking a balance between the ease with which you can maintain your blog’s archives, and the ease of access and intuitiveness for visitors to your blog. I believe that’s what the solution revealed below offers. What’s Wrong with Categories and Tags? For the purposes of this post my focus is on the second issue. By “abused”, I mean that well-intentioned bloggers create poorly phrased taxonomies and pack them with content of dubious relevance. If a visitor attempts to access your archives and does not find what they want (assuming it is available somewhere on your blog), your navigation has failed. Such outcomes are all too common. The solution is to categorize and tag your content conscientiously — something I covered here and here. When you learn to do that, you can rely upon categories and tags as an effective means of navigating your blog’s content. The next step is to give your blog’s visitors a little bit of context in order to aid their browsing. 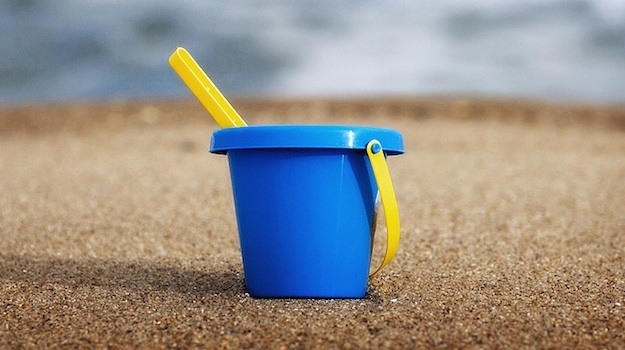 I was first introduced to the concept of content buckets by Derek Halpern of Social Triggers. The idea is to create static pages that link to only your best content relating to a specific topic. You should also include some introductory text and a call to action (such as a newsletter subscribe form). The idea is that content buckets are far more useful to a visitor as they are quickly and intuitively introduced to your best content. As you can see from the title, it is just a standard tag archive page. However, it includes some introductory text and a call to action that makes it (a) so much more useful for the visitor and (b) great for me in terms of boosting my subscribe rates. The process is remarkably simple — if you have ever played around with a PHP file in any capacity you will be able to handle it. Note that you can follow this process for both categories and tags, but in this example I will be using a tag. The first thing we’ll do is locate the specific tag you want to use for your content bucket. Remember — any post you tag will show up, so be selective in order to present only the best and most relevant content. You’re no doubt familiar with the Name and Slug fields, but perhaps not so with Description. This is where you will enter the text that you want to display on your taxonomy page. You may notice that I have used <div> tags to separate my paragraphs — this is because <p> tags weren’t working for me. This may be unique to the theme I use (Canvas by WooThemes) or it could be a wider issue, so make a note of it. Once you’ve added whatever content you like into the Description field, save your changes. Now it is just a case of telling your theme to insert content contained within the Description field into your taxonomy pages. There is a chance that your theme already does this so check first to make sure. If not you’ll have to manually edit your theme’s tag file. Before we do that, make sure that you have a child theme set up, as we would always recommend when making changes to a theme. 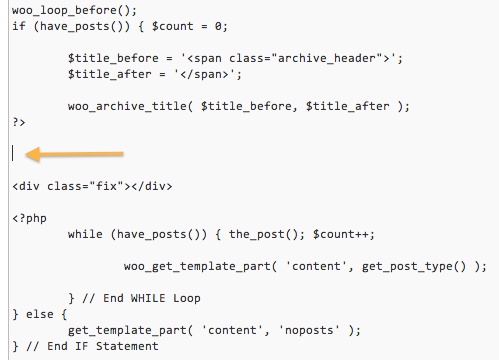 You’ll need to locate your theme’s tag file — it will be named something obvious (like loop-tag.php). If you cannot find such a file then your theme may not have a specific file for tag pages — instead it may have a generic archive.php file. If that is the case you will need to create a standalone tag file as per your theme’s documentation. Because of the huge variances in theme structures I cannot give exact instructions here, but you should be able to find a solution either via the theme developer or the WordPress.org forums. Save your changes and you’re done! Whatever is contained within a particular tag’s Description field will now display on the relevant page on your blog’s front end. You can use the CSS class “tag-description” to format the text as you see fit. Of course, none of this is much use if you don’t create content of worth for your content buckets. Any introductory text should be just that — an introduction to the topic at hand so that a visitor will instantly know if they are in the right place or not. What are your thoughts on content buckets and my particular low-maintenance solution for creating them? Let us know in the comments section! I wrote a plugin which makes writing category and tag descriptions a whole lot easier. Not only does it allow you to use HTML (so <p> tags work), it also adds a visual editor (like what posts and pages use) instead of the textarea. You can learn more about Visual Term Descriptions Editor on WordPress.org. Great idea! I never thought of using taxonomy pages as “buckets” for important posts, I’ll do it right away. Besides, I think most of the themes I use *do* include the tag and category descriptions in the front-end, so I won’t have to mess up with code. Nice article. I wish WordPress core would “out of the box” encourage people to write descriptions for their tags and categories by including the descriptions in the themes like you showed how to above. OTOH, I have to challenge you on the idea of content buckets taking too much time. If a blogger is going to take enough time to write enough quality content that it deserves to be organized on a feature page then doesn’t each of those posts deserve to have at least 5 minutes devoted to describing it in the context of its related posts? Wouldn’t handcrafting a thoughtful description to each post result in much more compelling value to the visitor, and thus be more likely to be found, to be read and to be shared? It would if I’m the visitor. P.S. To clarify, I think you should do BOTH category/tag descriptions AND content bucket pages. I don’t disagree with you, but I find that it’s too much work for a lot of people (myself included). It’s a case of prioritizing your time. The thing with completely “manual” content buckets is it’s not just about the initial setup — you have to consider what posts you add where every time you hit Publish, how they fit in with the other descriptions you’ve created, whether you need to shuffle things around, and so on. I prefer my compromise, although you rightly say that the “manual” approach could be better. Post Script.. ok just kidding.